Abstract: A systematic and comprehensive comparison of the five commonly used earth radius in geodesy and cartography is carried out, and the differences between the most common points of the earth's radius, their corresponding maximum values, and the latitudes of equal points between themare derived with the help of computer algebraic systems. 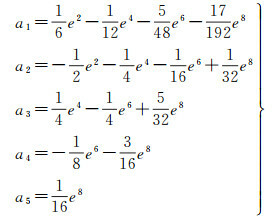 The symbolic expressionsare expressed as a power series of the first eccentricity. Taking the CGCS2000 ellipsoid as an example, the differences between the commonly used earth radii are clarified to numerical values. The results show that the difference between the commonly used Earth radii has a maximum at 90 degrees and a minimum at 0 degrees. The difference between the average radius of curvature and the equidistant sphere radius is the biggest, and the difference between the average radius of curvature and the average sphere radius is the smallest. These results can provide theoretical basis for relative research in earth science, space science, navigation and positioning. 吕志平, 张建军, 乔书波. 大地测量学基础[M]. 北京: 解放军出版社, 2005. LÜ Zhiping, ZHANG Jianjun, QIAO Shubo. Basis of geodesy[M]. Beijing: Publishing House of Liberation Army, 2005. 华棠. 海图数学基础[M]. 北京: 海潮出版社, 1985. HUA Tang. The mathematical basis of chart[M]. Beijing: Haichao Press, 1985. 王瑞, 李厚朴. 基于地球椭球模型的符号形式的航迹计算法[J]. 测绘学报, 2010, 39(2): 151–155. WANG Rui, LI Houpu. Symbolic expressions of the track calculation methods based on the ellipsoidal model[J]. Acta Geodaetica et Cartographica Sinica, 2010, 39(2): 151–155. 熊介. 椭球大地测量学[M]. 北京: 解放军出版社, 1988: 18-23. XIONG Jie. Ellipsoidal geodesy[M]. Beijing: Publishing House of Liberation Army, 1988: 18-23. 丁佳波. 拟大地线航法的球体半径[J]. 中国航海, 1988(1): 10–14. DING Jiabo. 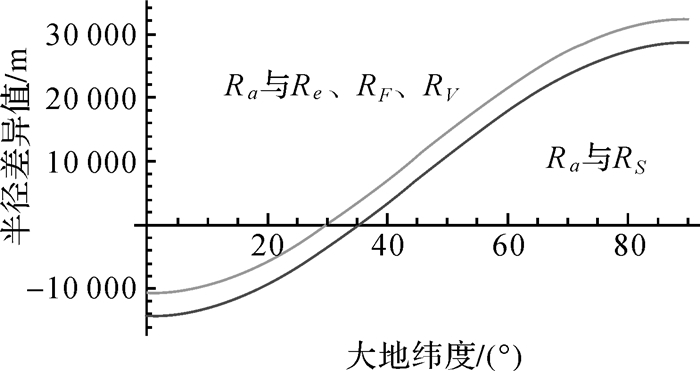 The spherical radius of the approximate geodetic line nautical method[J]. Navigation of China, 1988(1): 10–14. 丁佳波. 拟大地线航法地理坐标的解算公式[J]. 天津航海, 2003(1): 4–6. 熊介. 椭球面曲率半径展为纬差的幂级数[J]. 解放军测绘学院学报, 1985(2): 15–21. XIONG Jie. 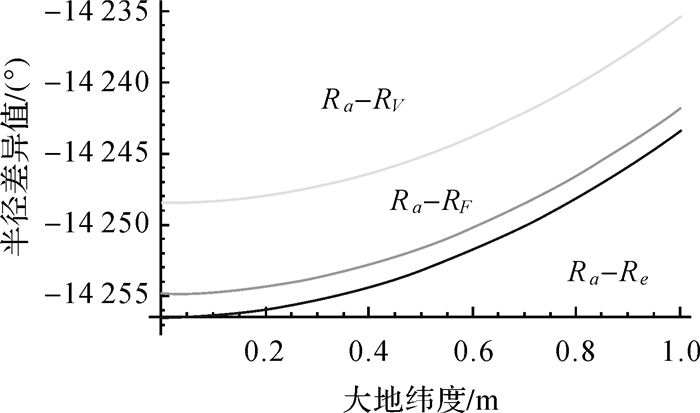 Expansions of radius of curvature of the ellipsoid in power series of latitude difference[J]. Journal of the PLA Institute of Surveying and Mapping, 1985(2): 15–21. 杨启和, 杨晓梅. 测量和地图学中应用的三种纬度函数及其反解变换的线性插值方法[J]. 测绘学报, 1997, 26(1): 92–94. YANG Qihe, YANG Xiaomei. Three types of latitudinal function and linear interpolation algorithms used in surveying and cartography[J]. Acta Geodaetica et Cartographica Sinica, 1997, 26(1): 92–94. AWANGE J L, GRAFAREND E W. Solving algebraic computational problems in geodesy and geoinformatics:the answer to modern challenges[M]. Berlin: Springer, 2005. ADAMS O S. Latitude developments connected with geodesy and cartography with tables, including a table for lambert equal-area meridional projection[M]. Washington, DC: Government Printing Office, 1921. SNYDER J P. Map projections-a working manual[M]. Washington, DC: Government Printing Office, 1987. 杨启和. 地图投影变换原理与方法[M]. 北京: 解放军出版社, 1989. YANG Qihe. The theory and method of map projection[M]. Beijing: PLA Press, 1989. YANG Qihe, SNYDER J P, TOBLER W R. Map projection transformation:principles and applications[M]. London: Taylor & Francis, 2000. 吴忠性, 杨启和. 数学制图学原理[M]. 北京: 测绘出版社, 1989. WU Zhongxing, YANG Qihe. Principle of mathematical cartography[M]. Beijing: Surveying and Mapping Press, 1989. 李忠美, 李厚朴, 边少锋. 常用纬度差异极值符号表达式[J]. 测绘学报, 2014, 43(2): 214–220. 边少锋, 李厚朴, 李忠美. 地图投影计算机代数分析研究进展[J]. 测绘学报, 2017, 46(10): 1557–1569. 李厚朴, 边少锋, 钟斌. 地理坐标系计算机代数精密分析理论[M]. 北京: 国防工业出版社, 2015. LI Houpu, BIAN Shaofeng, ZHONG Bin. Geographic coordinate system computer algebraic precision analysis theory[M]. Beijing: National Defense Industry Press, 2015. 边少锋, 许江宁. 计算机代数系统与大地测量数学分析[M]. 北京: 国防工业出版社, 2004. BIAN Shaofeng, XU Jiangning. Computer algebra system and mathematical analysis in geodesy[M]. Beijing: National Defend Industry Press, 2004. 边少锋, 陈良友, 纪兵. 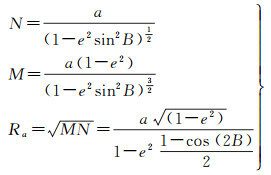 Mathematica软件在大地测量中的应用[J]. 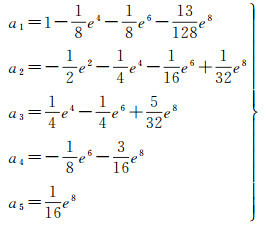 测绘科学与工程, 2004, 24(2): 25–28. BIAN Shaofeng, CHEN Liangyou, JI Bing. Applications of mathematica system in geodesy[J]. Geomatic Science and Engineering, 2004, 24(2): 25–28. 陈俊勇. 中国现代大地基准——中国大地坐标系统2000(CGCS 2000)及其框架[J]. 测绘学报, 2008, 37(3): 269–271. 陈武军. 地球曲率半径取值精度对控制测量精度的影响分析[J]. 地矿测绘, 2012, 28(4): 27–28, 31. 陈丽华, 汪孔政. 关于参考椭球平均半径的探讨[J]. 测绘通报, 2000(10): 15–17. 李厚朴, 边少锋, 陈良友. 等面积纬度函数和等量纬度变换的直接解算公式[J]. 武汉大学学报(信息科学版), 2011, 36(7): 843–846. LI Houpu, BIAN Shaofeng, CHEN Liangyou. The direct calculating formulae for transformations between authalic latitude function and isometric latitude[J]. Geomatics and Information Science of Wuhan University, 2011, 36(7): 843–846. 陈成, 金立新, 李厚朴, 等. 等距离球面高斯投影[J]. 测绘通报, 2017(10): 1–6.